Hello again bikers, On Wednesday, January 18, a hearing was held in the Arizona House of Representatives Transportation and Infrastructure Committee. The subject was a mandatory helmet law that was proposed by Representative Randall Friese from Tucson. 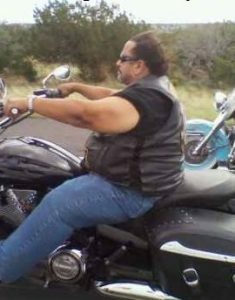 His bill would have mandated that all motorcycle riders would have to wear a helmet or face a $500 fine. It also allowed riders to opt out by paying a fee to the Arizona Department of Transportation (ADOT) when registering their bike. The fee to be determined later by the director of ADOT. The hearing began with Rep. Friese discussing head and spine injuries and the impact on families of riders who have devastating injuries. Two of his fellow doctors from University of Arizona Trauma Center followed giving statistics concerning thousands of collisions yearly and the number (in thousands) of motorcycle riders who their center sees. They lumped five years of numbers of car, motorcycle, bicycle, and pedestrian deaths and injuries to make the number seem as if bikers were experiencing carnage on a scale that was unimaginable. Several questions from a couple of committee members soon had those doctors admitting that their numbers were severely inflated and the real numbers were not what they had focused on. Then Bobbi Hartmann, Mike Infanzon, and I had our turn. Bobbi, an MMA lobbyist, focused on training and motorcycle awareness as a route to lower mc fatalities. Mike, the ABATE of AZ designated lobbyist, discussed the failings of the helmet argument and how helmets are not actually designed to protect in severe crashes and that they are useless after being dropped once and need to be replaced every few years. I spoke about the actual numbers of mc collisions and fatalities which surprised the legislators. Mike and I both presented the problem of the weight of the helmets and I recounted an email from a woman who said that her son was in a very low speed collision and died from internal decapitation due to the helmets added momentum on his head. A crash he should have been able to walk away from. None of us want to restrict the ability to wear helmets, we believe that it should be our choice. Representative Noel Campbell, the committee chair, told us that at some point he would work with Rep. Friese to create an incentive for riders to wear helmets, possibly a tax credit or free registration. We agreed that the carrot rather than stick approach would be more conducive to increasing helmet use. Until next time, be safe out there, live to ride, ride to live.